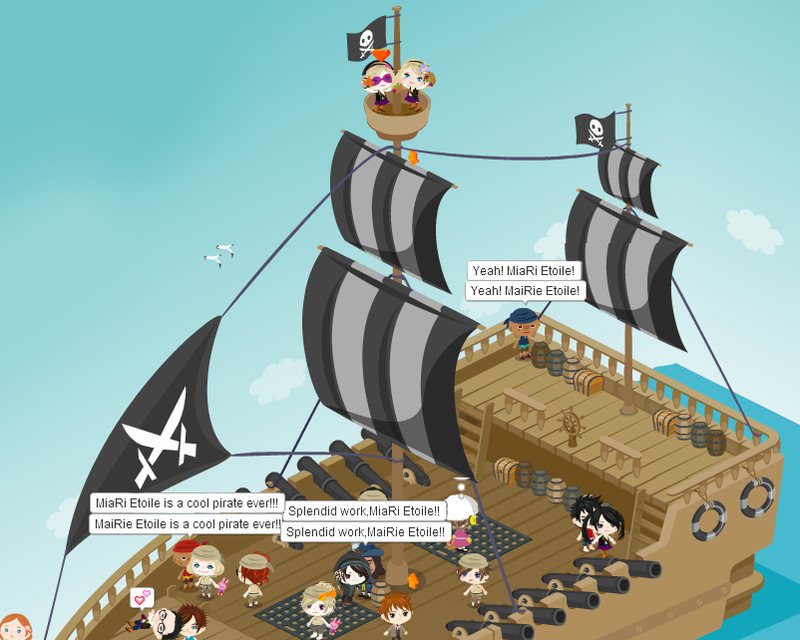 I was really busy yesterday in Pirates doing and completing the quest >_> But I enjoyed it a lot even thought I waited for long just to give the letter to Lily!! I thought that I can`t give it to her because it was really crowded there until when she was already leaving,... I ran faster just to give the flower and I did it! After I give the letter from Lily to Captain... I felt so sad w/o my `Lil Sis.. So I waited for her. Yes, My Sister waited for me and so, when I was in my room... I saw Captain`s invitation and I hurriedly do the quest. I was lucky because it wasn`t that crowded when I waited at the Bar to see Lily, and so, I was able to take a pic. 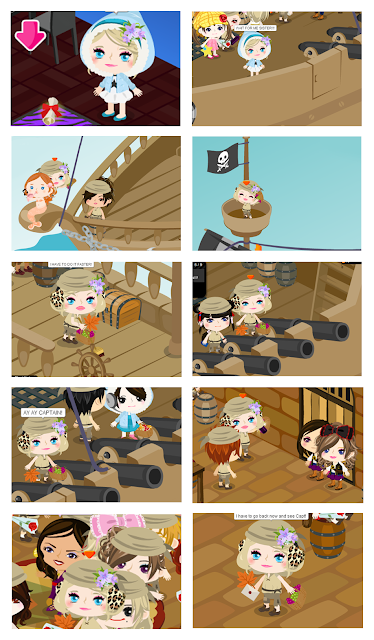 As I get the letter from Lily, I hurriedly went at the Pirate`s boat and gave the letter to Captain. And atlast! 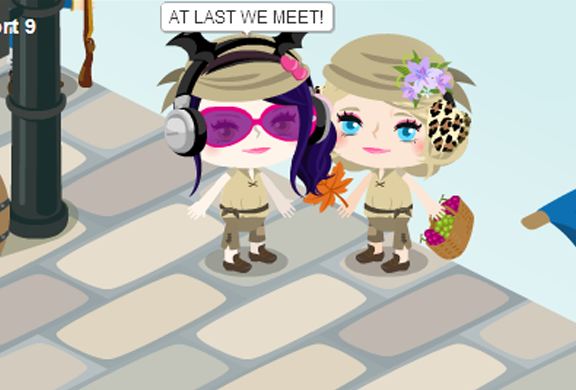 We`ve met. We did our best on finding the Gems. MiaRi got a really hard time on finding them and so I finished the quest first :D but we became Pirates together! Thank You Guys for staying there for a little Photo Shoot. I took a lots of time before we take this pic and we did it!